Water well kit arrives in Uganda! We asked many of you to pray for the water well kit we’re bringing to Uganda to arrive complete and without having to pay customs. Jeff Deavenport and his son Jeffery helped load the 300 pounds of tools and meet us at the airport in Tulsa for our flight. I was nervous we’d have to pay lots of extra baggage, would have to pick up our bags in Amsterdam for our layover and recheck them, then have trouble with customs upon arriving in Uganda. Our gate agent at Delta was friendly and helpful and we were only charged $400 for the total baggage. That may sound high to you, but understand we had 7 bags of nothing but well drilling tools in addition to our personal baggage. Some of the fees were also waived, and they said the bags would be checked straight through to Entebbe, Uganda, so we felt a big burden lifted immediately and the Deavenports left after seeing the bags onto the ticket counter conveyor belt. We flew through Amsterdam with a layover then headed to Entebbe. When we arrived Entebbe, we found all of our baggage and the well kit complete! We were thankful to God for that and even more thankful when the customs agent did not question us at all but simply waved us through with her hand. Wow. Thank God for answering prayers of our friends who also want Ugandans to use these new tools for well drilling to get clean water for good health. Our hearts are ready to see our Ugandan friends. 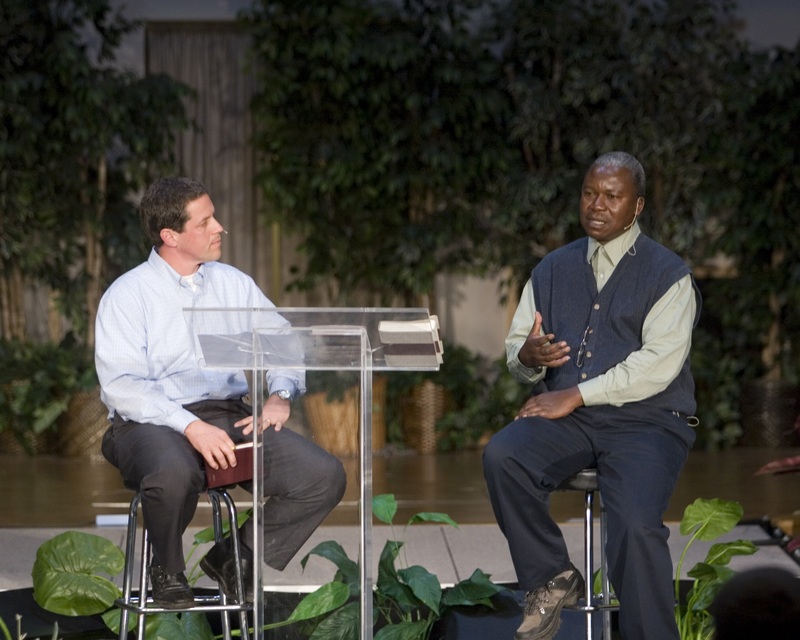 Many of you met Roy Mwesigwa when he was here in the states in March-April 2010. You can hear him speak at http://www.Garnettchurch.org sermon page. We’ve been preparing the water well drilling kit and getting lots of help from friends who are newly passionate about the problem of unclean water in the world, in places like Uganda. We are packing 6 duffles full of well bits, pumps, fittings, and pipes to drill water wells, and our plan is to introduce the kit to Ugandans who can form a team and drill wells in the Busoga region in SE Uganda.